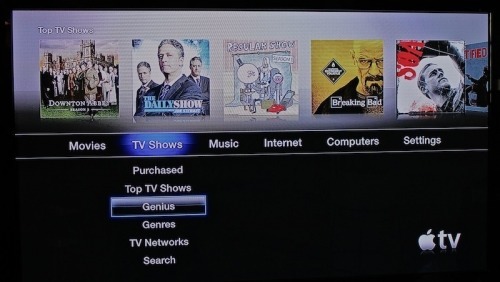 Apple has updated the Apple TV with Genius recommendations for Movies and TV Shows. The 'Genius' option can be found under the Movie and TV Show menus. You will need to be signed in with your iTunes ID to see your personalized suggestions.